Abstract: Being the latest model released in August 2014, the Airwheel X8 single wheel scooter has all the self-balancinf unicycle Airwheel X spirit, yet it boasts many additional advantages including the extra-large wheel hub and ultra slim tyre as well as outstanding riding performance. A self-balancing unicycle uses sensors, gyros, and accelerometers in conjunction with an electric motor to assist a rider to balance on a wheel and get going. Airwheel is a leading brand on the self-balancing electric unicycle/scooter market. Currently, Airwheel Technology features three series, namely X, Q and S. Airwheel X8 is the most advanced model in X series that are designed for tough conditions for everyday life. Being the latest model released in August 2014, the Airwheel X8 single wheel scooter enjoys all the Airwheel X electric self-balancing scooter spirit, yet also boasts many extra advantages. Airwheel X8 is geared with a 16 inch slim alloy wheel hub that can carry maximum 120kg for the maximum performance. The tyre absorbs shocks effectively and resist ground impact even on bumpy terrains and various weather conditions. The 170Wh Sony battery can cover an average range of 10 miles per single charge and is rechargeable for up to 1,800 times. The Airwheel X8 meets standard which defines resistance of the intermediate dust, dirt and high water pressure in all directions. As an intelligent self-balancing unicycle, Airwheel X8 single wheel scooter has an upgraded precaution system. 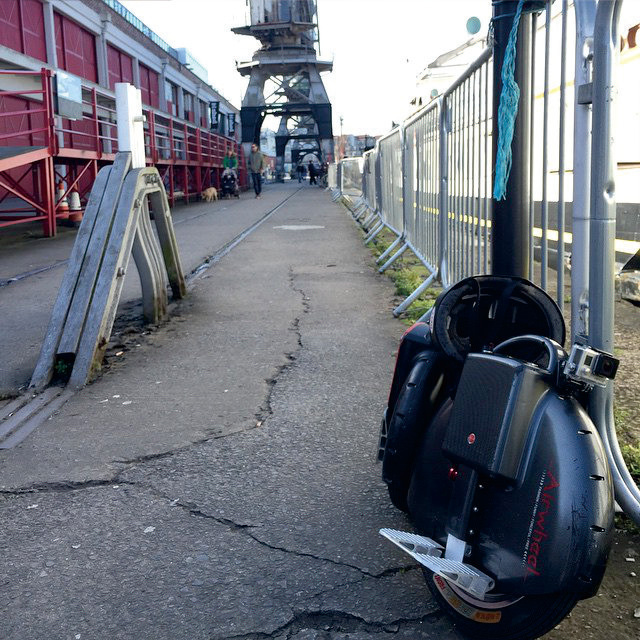 Airwheel's maximum speed has been set to 16km/h to prevent over speed. When the wheel reaches the speed limit, the front end of the paddle will rise and there will be long beeps until you slow down. When the wheel is over-tilted, long beep alert and the LED lights on the power button will flash continuously. When the power level falls under the 15% of the capacity, all four LED lights will blink and the buzzer will beep. Airwheel X8 is offered with three casing or color options: Matt White, Matt Black, and Carbon Fiber. Each unit is stunning and looks extremely cool. The X8 is fantastic for commuters, business professionals and anyone interested in travelling in ultimate style. It's great fun, easy to ride and convenient to stow. If you want to store the Airwheel X8 electric self-balancing scooter under your seat on the packed train, at the office or in the car, it takes no more space than a brief case.